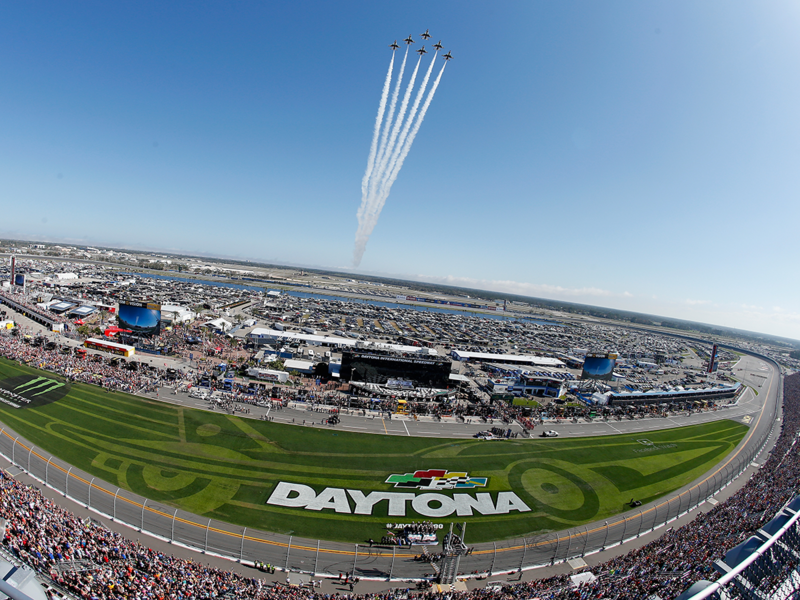 Kick off the 2019 NASCAR season by celebrating at one of the Daytona 500 Weekend parties! Let's be honest. It's February ... it's cold ... we're all more than ready to see racing, and wish we could be down in warm, sunny Florida to watch the Daytona 500 in person. For those fans unable to escape chilly New England, here are a few ways to join in the fun as the 2019 NASCAR season heats up! The North East Motor Sports Museum (by the South Entrance of New Hampshire Motor Speedway) in Loudon, N.H. is hosting a Daytona Party and Slot Car Racing event on Saturday, February 16 starting at 12:00 p.m. and ending when the checkered flag flies in the NASCAR Xfinity Series Daytona 300, which will be shown on their televisions. This party is free to museum members and kids under 12. Non-members can enjoy the party and museum with an $8 online ticket ($10 at the door). There will also be a four-lane 1/24th scale slot car oval track, which will be unveiled at the Daytona Party, and guests are welcome to run the track's cars. Try your skill on the high banks of Daytona or drive a modified at New Hampshire Motor Speedway in the museum's new iRacing.com simulator. Free food and beverages will be available, along with raffle prizes. Chunky's Cinema Pub is celebrating the 61st running of the Daytona 500 with a Watch Party on Sunday, February 17 starting at 2:30 p.m. at the Manchester and Nashua, N.H. locations! The 2019 Daytona 500 serves as the pinnacle for the six decades of historic performances, heroic figures and spectacular moments that transformed Bill France's dream into "The Great American Race." View the race that defines legends on the big screen! Doors open at 1:30 p.m., and you can guarantee your seats before they sell out by purchasing a $5 food voucher to be used towards your bill during the event. After purchasing your tickets, have a seat in one of Chunky's spacious, comfortable and unique theaters. Your seat is a leather, reclining car chair from a Lincoln Town Car, so get prepared to be very relaxed! Once you have chosen your seat, take a peek at their diverse movie-themed menu! You'll find mouth-watering appetizers, entrees, drinks and desserts! You can order before the race starts, and if you're in the mood for dessert or an extra drink halfway through, no problem! Chunky's was designed for you to sit back, relax and enjoy the show! They recommend arriving about 1 hour before the race starts, so they can take your order and have it ready by the time the green flag flies.